That's how long your audience will remember the effect of a freely selected and signed card appearing NAILED TO A SOLID BLOCK OF WOOD! 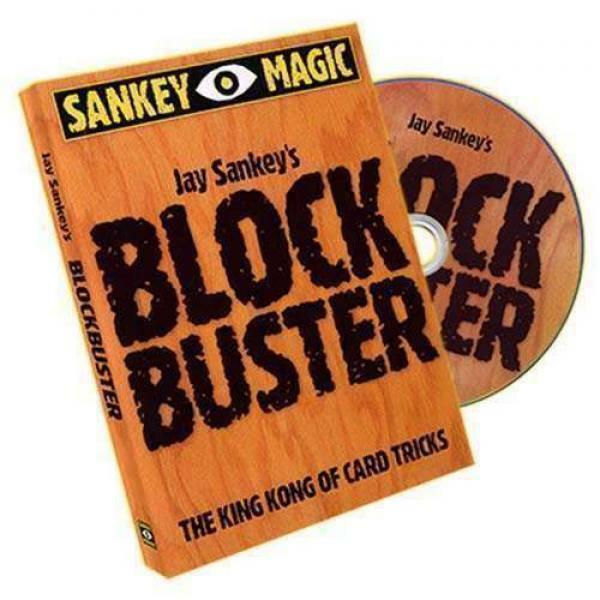 BLOCKBUSTER is also a lethal example of Jay's own "mind over muscles" creative philosophy because Jay accomplishes this astounding effect with several surprisingly EASY TO DO methods! Jay created BLOCKBUSTER to close shows for large and small audiences and it never fails to leave everyone completely shocked! The large nail, the solid block of wood and the torn signed card are all unusually dramatic elements. No surprise that together they create an outstanding piece of magic. BLOCKBUSTER comes complete with full-length instructional DVD featuring both beginner and advanced handlings. The package also includes a steel nail, envelopes, and a professionally cut and sanded block of Douglas Fir wood from Prince George British Columbia.